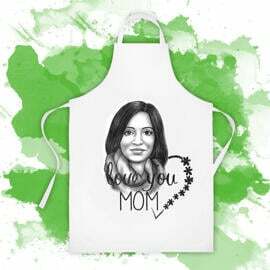 Make a beautiful surprise to your mother on Mother's Day which will be prepared by Photolamus. 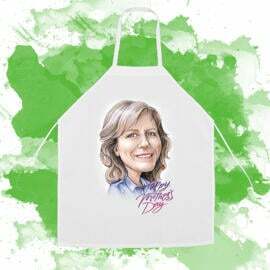 We will draw an amazing digitally colored portrait illustration from regular photos in a simple cartoon style. 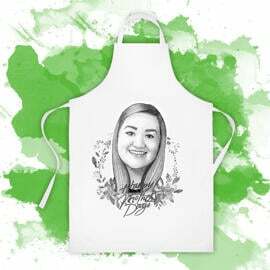 Such a funny and original portrait illustration is an affordable gift idea to each woman in the world. 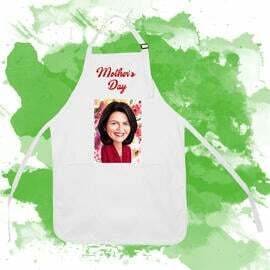 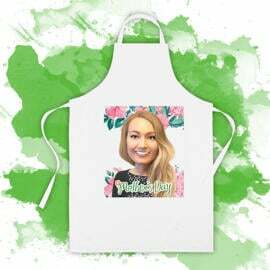 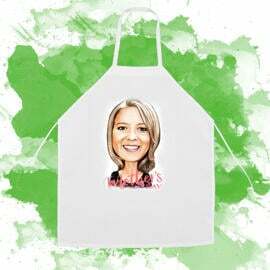 We strive to draw a portrait of your mother in order she will wear this custom-made apron with pleasure. 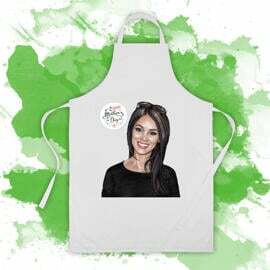 You will get a ready-made drawing as JPEG File on email for approval. 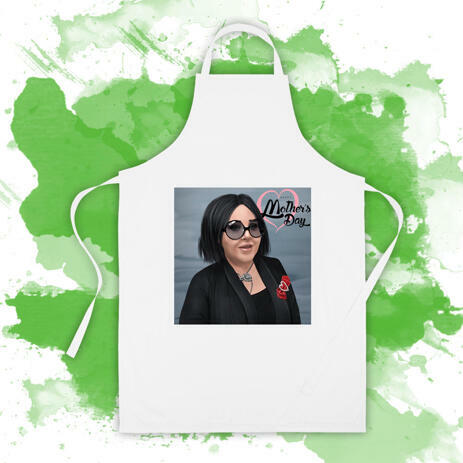 Aprons are available in one unisex size and worldwide shipping.